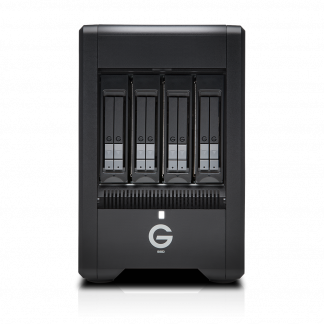 G-Speed Shuttle SSD, What is it? 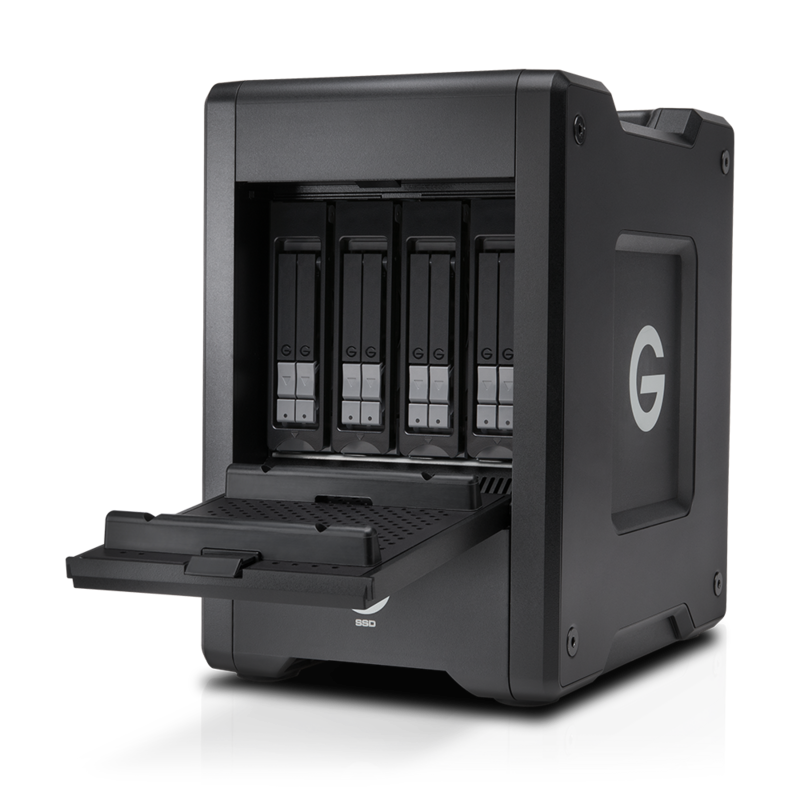 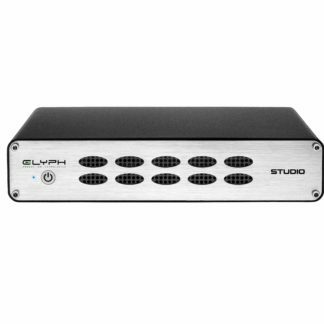 The Shuttle SSD from G-Technology is a transportable 4-bay RAID storage optimised for critical 4K, 8K, VR, high dynamic range (HDR) and high frame rate (HFR) footage. If you are in need of a solid performing RAID array but also need to be on-location then the G-Speed Shuttle SSD is ideal. The drive needs power so don’t get this if your not close to a power supply! 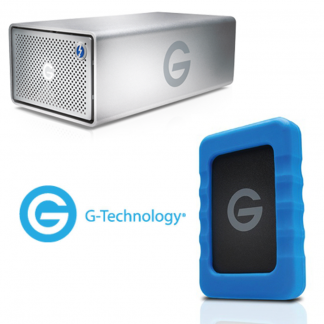 It comes with a useful carrying handle and a rugged design for in the field use. 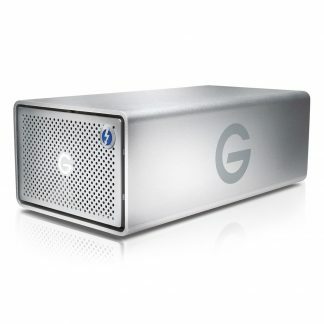 It features SSD drives and has transfer speeds of up to 2800MB/s. 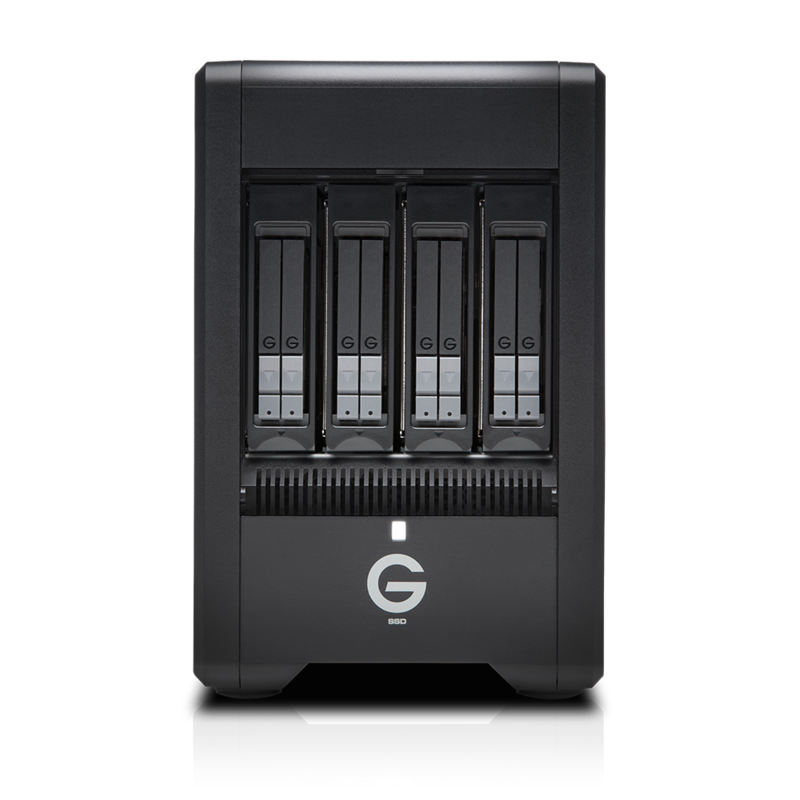 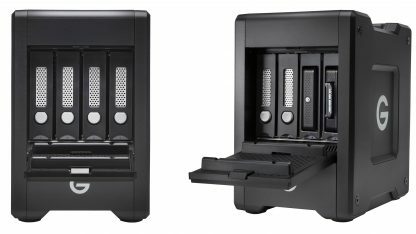 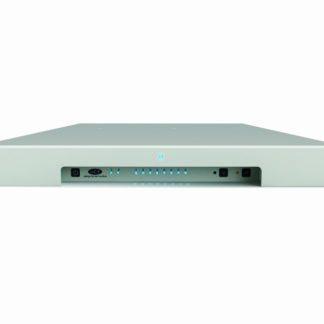 For maximum performance it comes formatted as Mac and RAID 5 out of the box but also supports RAID 0, 1, and 10 to provide a versatile and flexible storage solution. 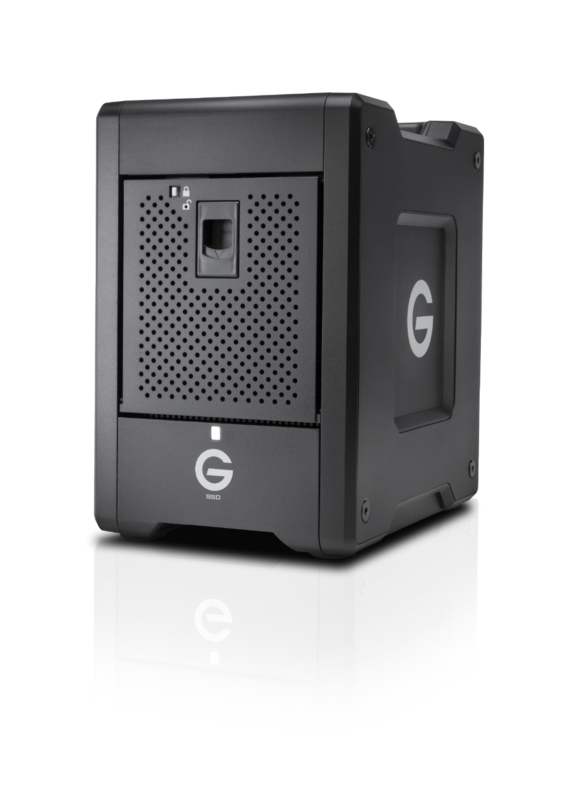 It can be easily reformatted for PC use also. 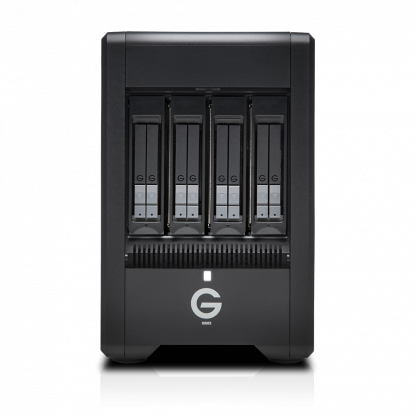 The Shuttle SSD has a 5-year limited manufacturer warranty.